Slow cooker meals are great, set them up, stir a few times, and do what you need to until you are ready. 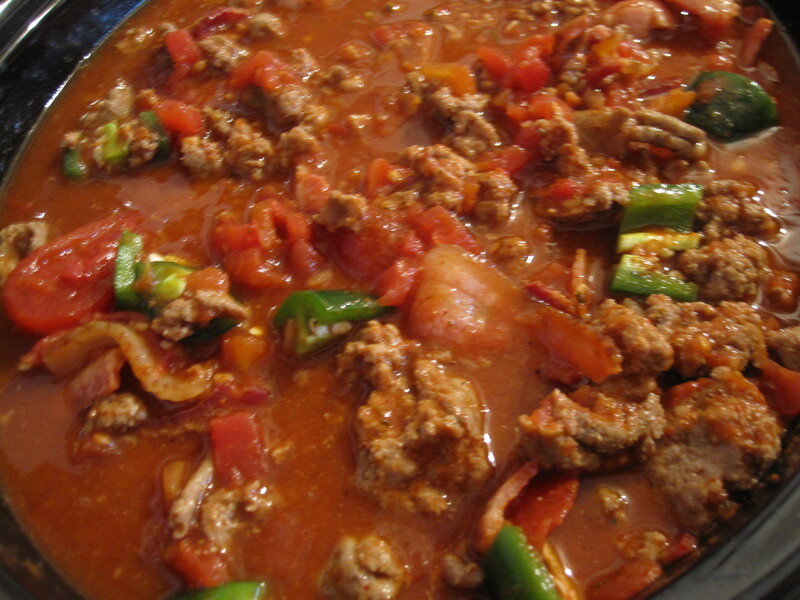 The comma in the title is important because this is turkey and bacon chili, not to be confused with turkey bacon. I am always trying to improvise my chili recipes and combined a few favorites into one with this easy slow cooker winter dish. 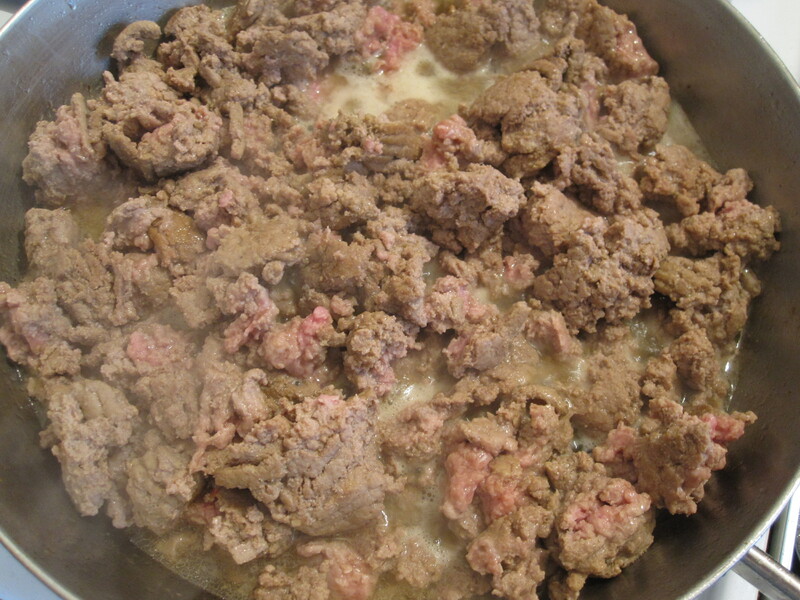 You basically need to prep everything and combine it and then let it slow cook as long as you want with a few stirs. The longer you can let it cook the better. I would say an absolute minimum of 2-3 hours if you must, but 5 or 6 or even more would be preferable. Just keep an eye on it and stir to keep the top and sides from burning. I started by crisping the bacon. 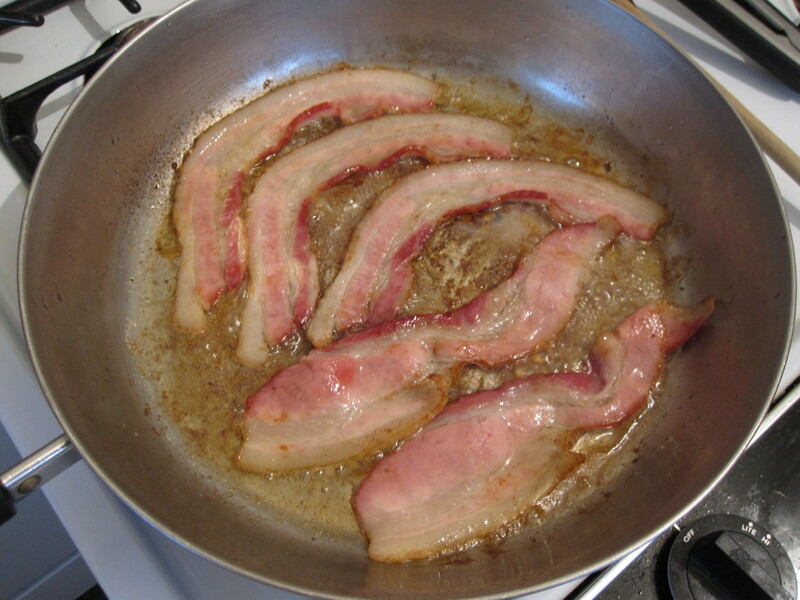 I then removed the bacon and let it cool on paper towels, but kept the grease in the pan. This may sound a little harsh, but I then browned the turkey in the bacon grease. 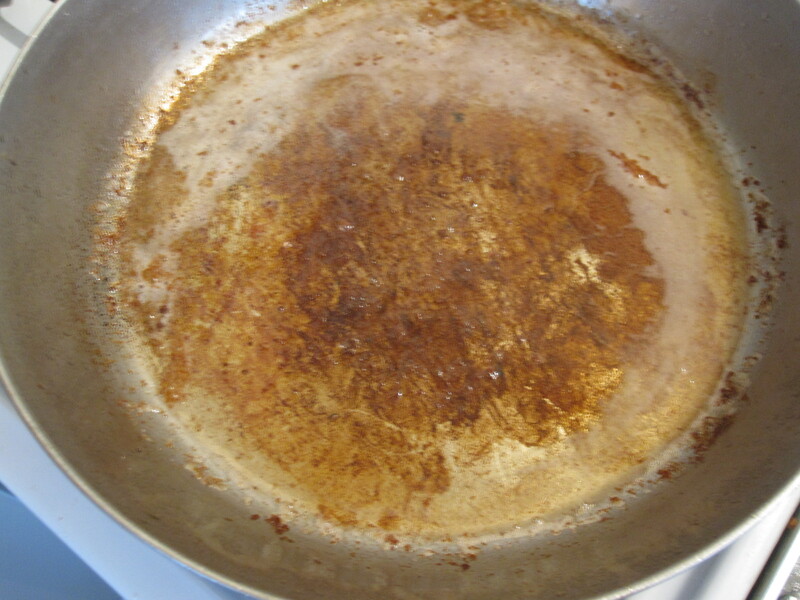 It was thoroughly drained once browned and before it was added to the mix. 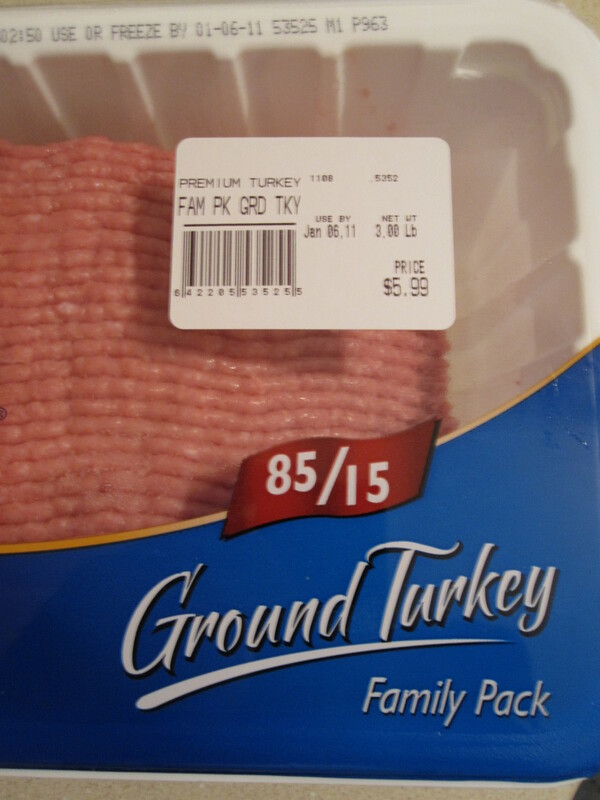 It really added a smoky flavor and enhanced the flavor of lean turkey which can be pretty plain. A lot of the stuff you eat in restaurants is likely prepared in ways that you would prefer to not know about, so keep that in mind, or actually don’t keep that in mind. Again, the turkey was thoroughly drained from the bacon grease and it’s own juices after browning. 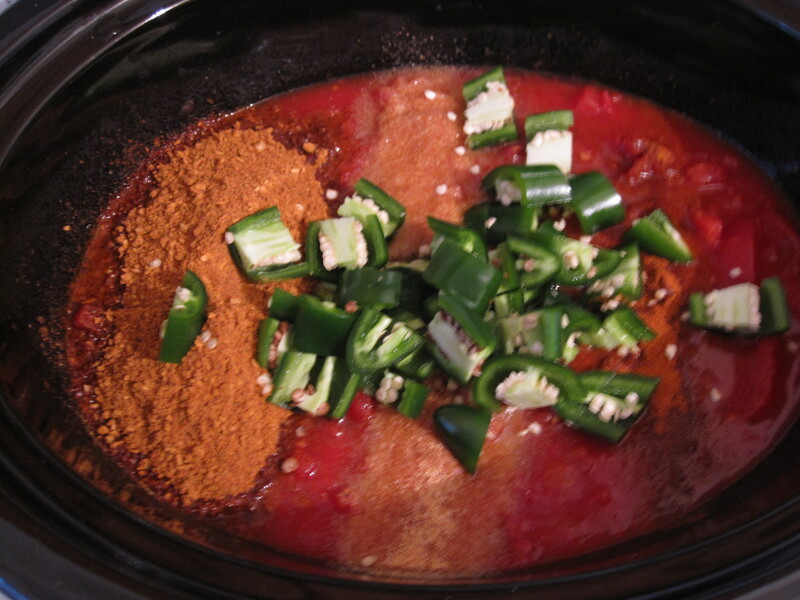 I left a few pink spots to continue to cook in the slow cooker. At this point, it is basically time to mix all of the meats, veggies, and spices. Then just stir and let the magic of slow cooking go to work! Some things that I would change would be to chop the bacon a little finer. It didn’t break down as much as I though it would have, but I didn’t get any complaints about too much bacon. Serve with any combination of fresh diced onion, cheese, sour cream, avocado, chips, fritos, etc. 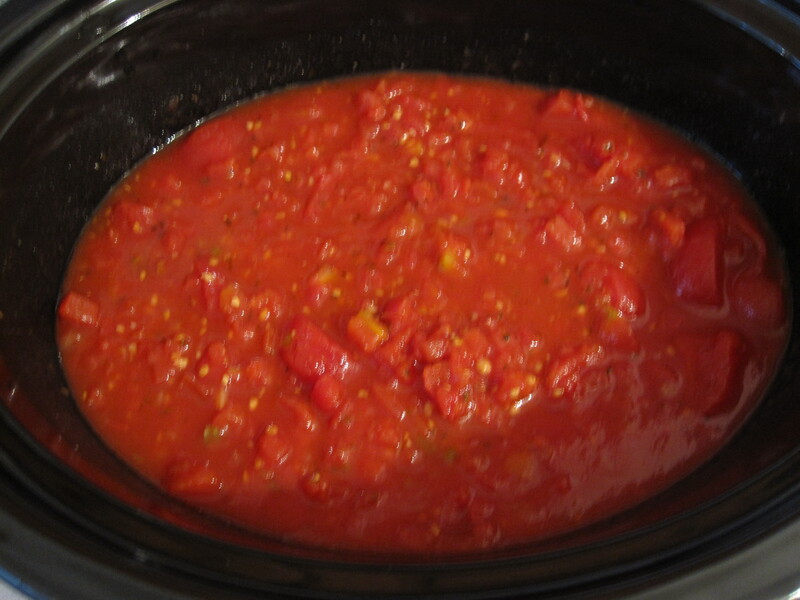 This entry was posted in Recipes, Slow Cooker and tagged bacon, beef broth, cayenne, chili, chili seasoning, crushed tomatoes, diced tomatoes, garlic, jalapeno, slow cooker, stewed tomatoes, turkey, vinegar. Bookmark the permalink. This would be good to make for the Super Bowl. And bacon – yum! 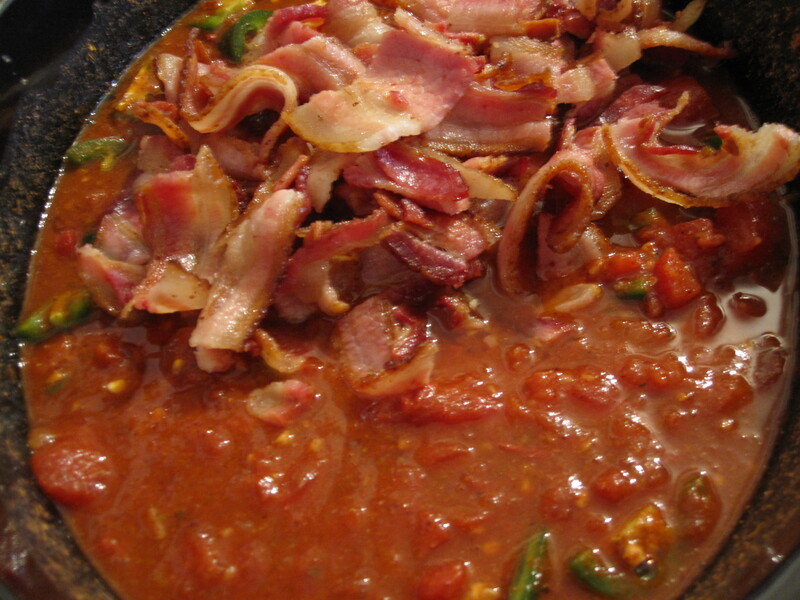 Chili with bacon in it?? Oh my yes! I love everything about this!